Trans Tech Auto & Truck offers a complete range of diesel repair and maintenance services for all diesel cars and light-duty and heavy duty trucks. Those in the Colorado Springs area who rely on us for their diesel repair and service needs find our qualified diesel mechanics to be well-trained and dedicated, using only the best parts available to ensure optimal results. Diesel Engines are built with durability, reliability, and optimization in mind, and are designed to use their own compression to ignite fuel. In gasoline engines, the fuel is mixed with air, compressed by pistons, and ignited by spark plugs. 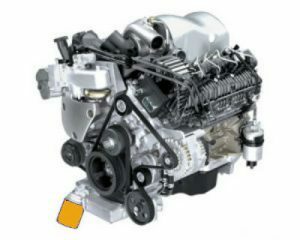 The rate of compression in a diesel engine is more than three times that of a regular gasoline engine system. In a diesel engine, the air compresses at a high ratio, which creates a great amount of heat. Following this compression, fuel directly injects into the cylinder, where the fuel vapor ignites. Diesel engines don’t have spark plugs. Instead, diesel systems use glow plugs to start and run more efficiently in colder temperatures. Glow plugs have two heating elements that allow them to get very hot very quickly for fast starts. Turbochargers then increase the compression ignition by quickly compressing the air flowing into the engine, allowing for more air to flow into the chamber. More air in the combustion chamber means more fuel can be added to the combustion process. Turbochargers provide diesel engine systems with improved efficiency, and ultimately, more miles per gallon of diesel fuel. It is especially important that you be aware of problems in your diesel engine and find the best diesel mechanic immediately. Diesel engines make a considerable amount of noise during normal, everyday operation, so diagnosing diesel engine problems can be hard to do if you are trying to listen to the engine. However, there are a number of symptoms you can watch out for that indicate your diesel engine needs maintenance. A diesel engine running at lower RPMs or a hard-to-start engine are signs of low fuel pressure, these signs may be symptoms of an insufficient fuel supply or poor fuel quality. Allowing Trans Tech Auto & Truck to troubleshoot your engine can help ensure that the proper diesel repair procedures are followed to repair the engine. Every diesel engine manufacturer requires different preventive maintenance procedures, so referring to your owner’s manual will help in planning and scheduling routine maintenance services. Keeping all diesel engine components—glow plugs, fuel injectors, and turbochargers—in proper working order will increase the life of your diesel engine system while promoting overall vehicle maintenance. Looking for the best Diesel Mechanics near me? Trans Tech Auto & Truck proudly serves the Diesel Engine Repair needs of customers in Colorado Springs, Teller and El Paso County and surrounding areas. Call us today! 719-630-7476. We offer the best diesel mechanics and diesel repair in Colorado Springs!